(I) After both parties’ consultation, the transaction price of the housing is RMB 16000000.0 Yuan (in figure), Sixteen Million Yuan only (in words). The Buyer can pay RMB 11000000.0 Yuan (in figure), Eleven Million Yuan only as self-owned fund transfer. Please refer to Attachment IV for prices relating to the housing’s accessory facility, equipment, decoration, and etc. (II) The Buyer adopted following 2nd payment term. And see Attachment V for agreements on payment terms and due time. 1. Settle and deliver on their own. See Attachment VI for Statement of Transaction Settlement Funds Transfer of Stocking Housing. 2. 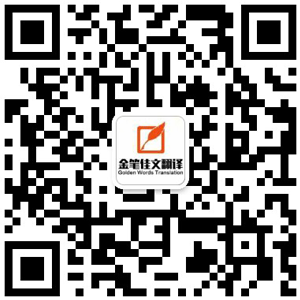 They adopted the special account of Beijing Chaoyang District Housing Administration for transaction settlement funds transfer. Please see Attachment VI for Agreement on Transaction Funds Transfer of Stocking Housing signed by both parties. (1) The Buyer shall deposit the RMB 11000000 Yuan (in figures), Eleven Million Yuan Only (in words) house purchase fund into the special account of Beijing Chaoyang District Housing Administration for transaction settlement funds transfer. After the Buyer obtains the certificate of housing ownership, stocking housing transaction platform will transfer the supervised funds in the special account to the Seller’s receiving account agreed by the two parties in Agreement on Transaction Funds Transfer of Stocking Housing. The Buyer applied to [bank] for mortgage loan and the proposed loan amount is RMB 5000000 Yuan (in figures), Five Million Yuan only (in words). The Buyer failed to get approval from the bank or housing fund management center due to personal reason and both parties agreed to solve such problem in the following method: The Buyer continues to apply loan from other banks until the loan is granted. Expenses occurred during such period would be undertaken by the Buyer. The Seller shall guarantee that the housing is free from any ownership dispute. In case that it fails to handle with the property registration or there is debt dispute due to Seller’s reason, the Seller shall undertake corresponding responsibility. The Seller shall guarantee that as of date of signing the contract till the completion of the housing acceptance and handover, all ancillary facilities and equipment of the housing and the decoration having been included into Attachment I are kept in good condition. [Property management fee] [Heating] [Water] [Electricity] [Gas] [Cable TV] [Telecom] [ ] all the above expenses incurred before date of housing delivery shall be undertaken by the Seller, while expenses incurred after date of delivery (including that very day) are borne by the Buyer. The Seller agrees to transfer the book balance of special maintenance funds (public maintenance funds) for the housing paid by him to the Buyer.